Very elegant! I like it. 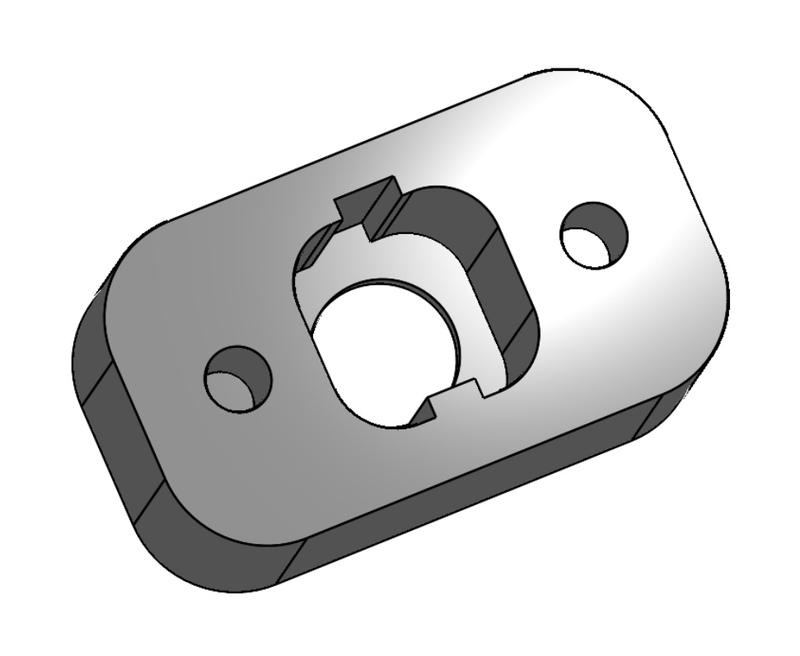 Can you share STL files of those XT150 connector holders? 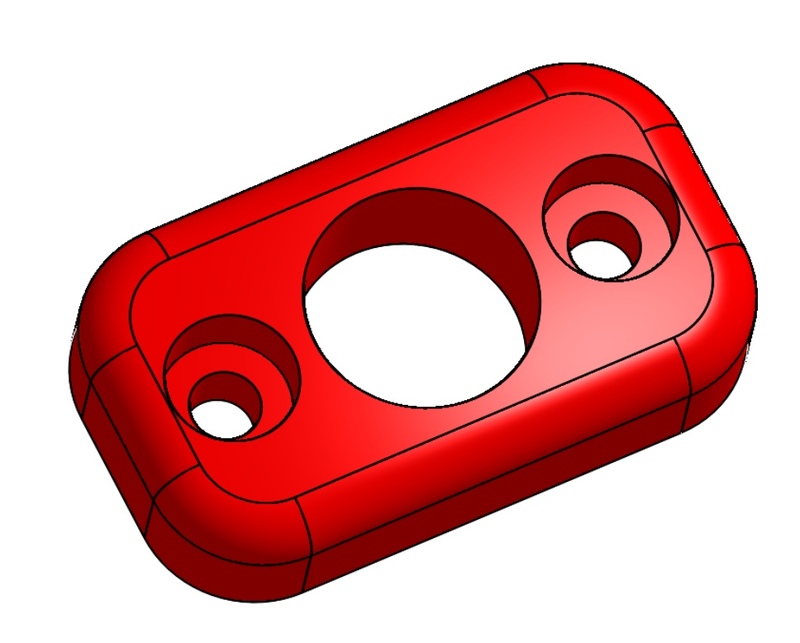 These spacers very sturdy - your design? On the harness side the straps go only through the top hole allowing it to hinge when folding it up. It also holds the top of the harness higher while flying. Ok - Not sure why you do your straps that way and not utilize the spacer/support since the holes are there. I just explained why… it creates a hinge. And the standoff is in the way so I made that spacer. The picture of the straps is before I made the spacer. You’ll see why when you go to fold yours up the first time. Sorry – ok got it. I wouldn’t want a hole in my strap. Plus you wouldn’t be able to access the bolt head. The 3D print works well. 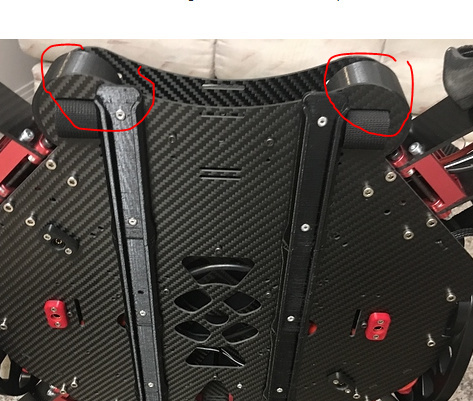 Paul, your spacer at your harness connection is a great idea. 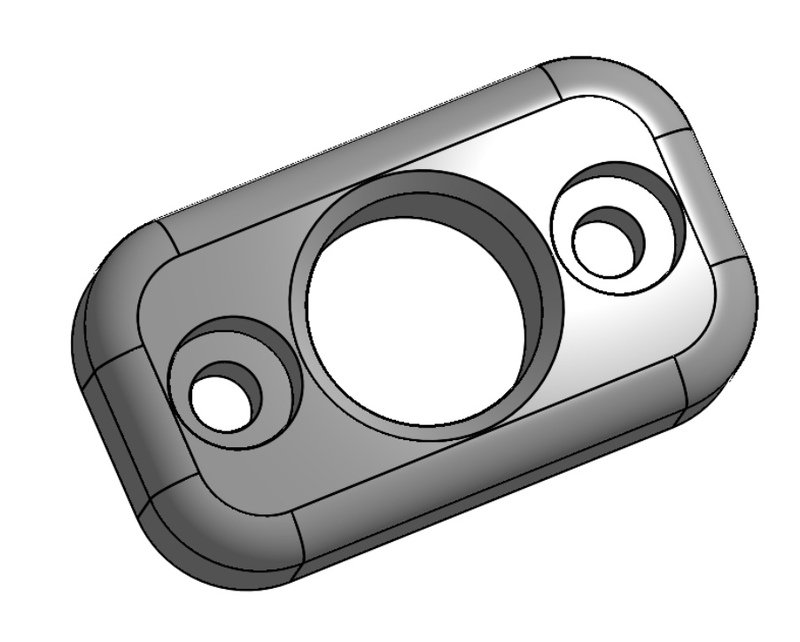 I was looking at that specific issue to see if I needed to add another standoff but a 3D printed spacer will fit perfectly and is a much easier approach. The battery rails and connectors look like that would work really well. 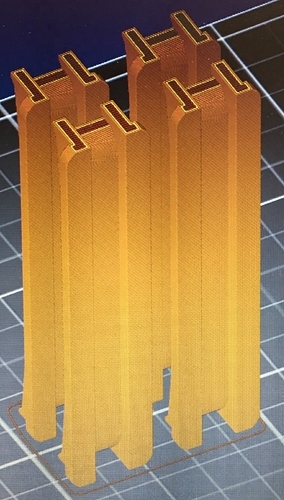 I was looking at the aluminum option but your printed solution looks nice. Since you have shortened your wires, have you seen any performance difference? 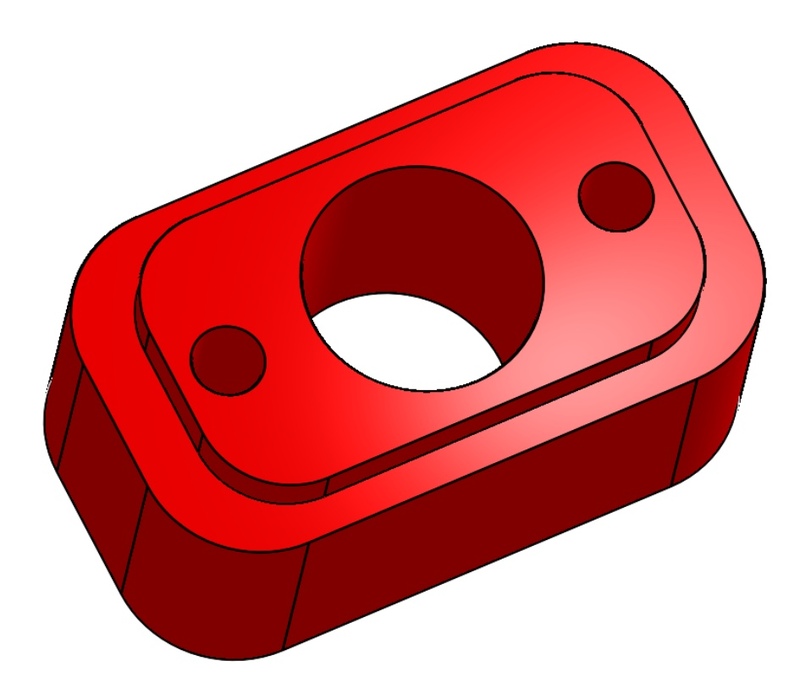 Can you post the STL files for the spacer, rails and XT150 connector holders? 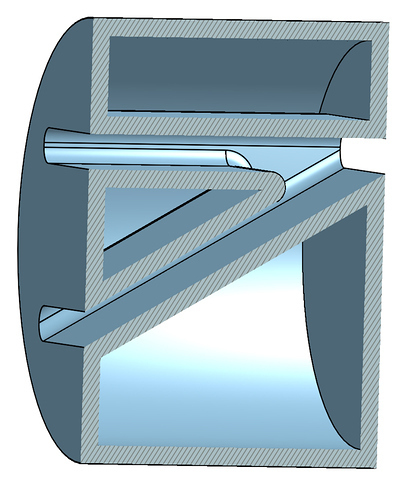 On the track, are you at all worried about the 3D print pulling apart under load? Are there any off the shelf rails we could use to accomplish the same thing? I printed all the pieces of the track on end so that the layer lines wouldn’t weaken the print in a bad direction. Also, I used PETG which is stronger than PLA and adheres to itself really well making it almost not matter about print orientation. It would require a pretty big break on both rails to lose the batteries. A 6 pound battery is only 3 pounds on each rail. 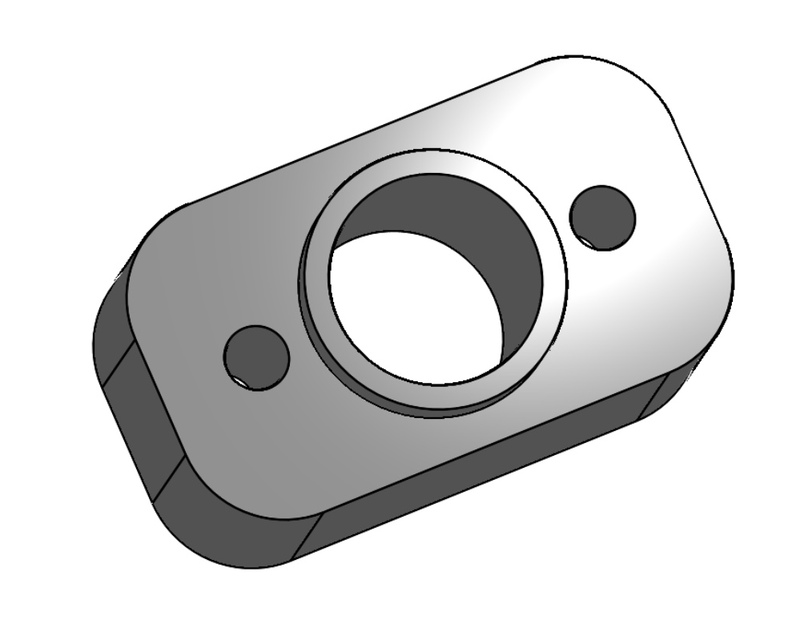 The rivet locations are optimized to the most critical points. The short answer is: no I’m not worried. If you scroll up I posted some aluminum rails that I found on Amazon. They are a little bigger and heavier and cost more since I already have a printer. Standing up? – did the print use a lot of support material – how long to print everything with sliders? Awesome. Step files for both the strap spacer and rails would be awesome. Great idea! Since you have shortened your wires, have you seen any performance difference? The short answer is no. Over the course of almost a year I have shortened my wires several times. The first time was when I cut the battery leads in half which I mainly did to keep the wires out of the props. I rewired the whole machine when I converted to 2 switches. Lastly, I took a few more inches off when I created the new connector holders. 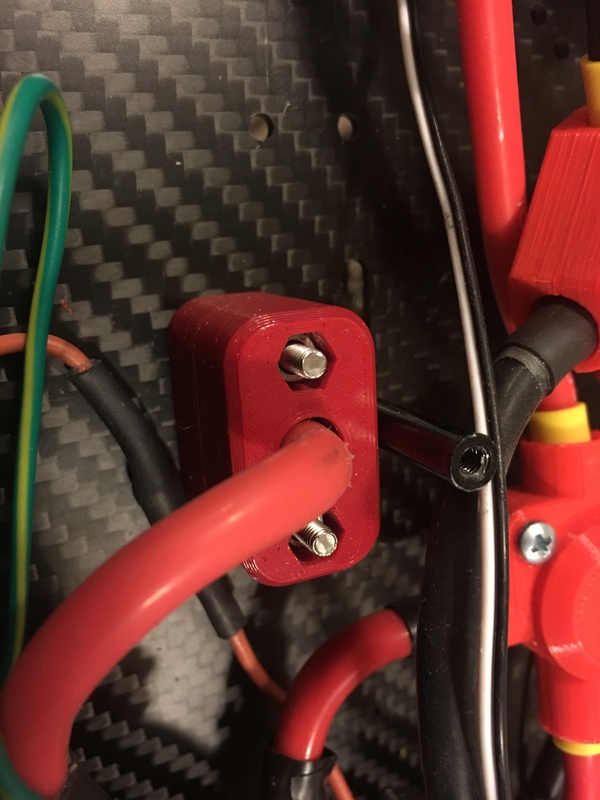 I’ve never noticed a performance change with any of these but the shorter the wires get the less induction there will be which can damage the ESCs over time. I’ve also never had any issues with the ESCs. 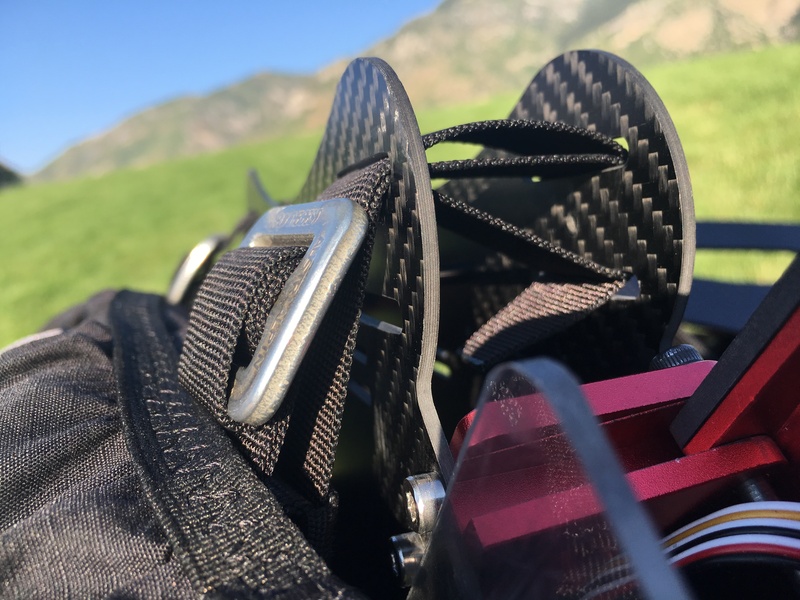 We have yet to see anyone report on flying with more than 4 batteries with extended wires. Will they have issues with induction if they don’t add capacitors? Probably not right away but perhaps over time… we shall see. 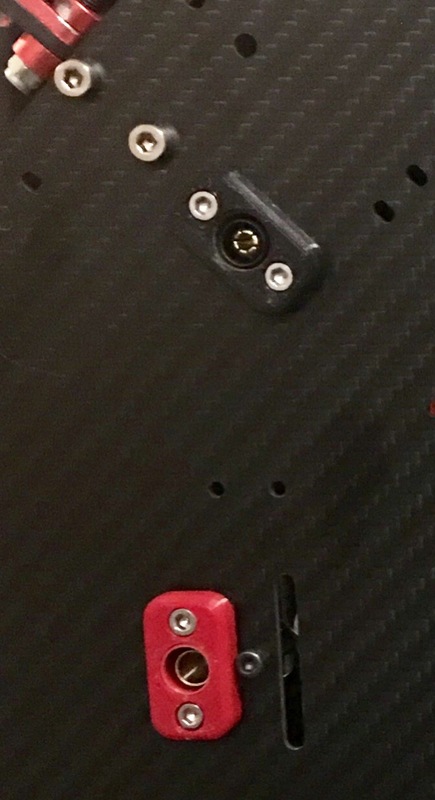 Instead of wires hanging through the rear plate I created surface mount holders for the XT-150 connectors: [image] [image] [image] Xt 150 Mount - Base Red or Black.stl (160.8 KB) [image] [image] Xt 150 Mount - Black Middle.stl (141.9 KB) Xt 150 Mount - Red Middle.stl (142.7 KB) [image] [image] Xt 150 Mount - Black Face.stl (704.4 KB) Xt 150 Mount - Red Face.stl (690.3 KB) Assemble with M3x25 bolts with nuts. The rail attachment system is brilliant! I’d love to make a second set of rails to attach another 4 batteries to the stand. Follow the link above to my thread to find the files for everything that was discussed in this thread.